On the hunt for a luxury used car for less around San Marcos? Then take a peek at our 82 Certified Pre-Owned BMW vehicles for sale. 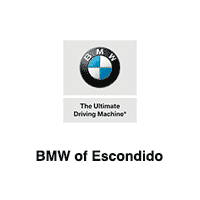 Whether you’re looking for a capable crossover with a moonroof in the BMW X5, or you’re looking for an affordable luxury sedan in the 5 Series, our massive inventory of cheap Certified Used cars in Escondido will accommodate your every luxury automotive need. Examine our inventory below. Then, calculate your estimated car payments online, and schedule a test drive today! What Makes a BMW Certified Pre-Owned Vehicle? In satisfying these CPO requirements, these select BMW vehicles perform like new, only these cars come in at a much cheaper cost. So once you’re ready to buy your next Certified Pre-Owned BMW, explore our CPO offers, and contact us today! We’re here to make your Escondido restaurant outings or your Poway commute a breeze.